Senior Infants making 2D shapes on Geoboards. 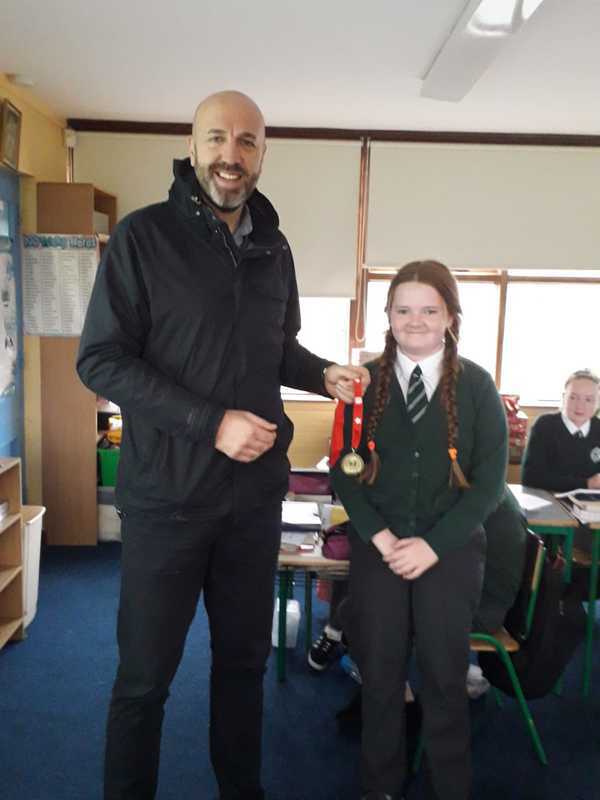 Science week: WIT visit with 3rd and 4th class "It takes guts"
6th class student getting her manga high medal in recognition of excellence in mathematics. Aistear fun in junior infants.